Please see Metro Wastewater Reclamation District's handout on Fats, Oils, & Grease here. This handout contains information on sewer overflows and backups, as well as proper grease disposal. 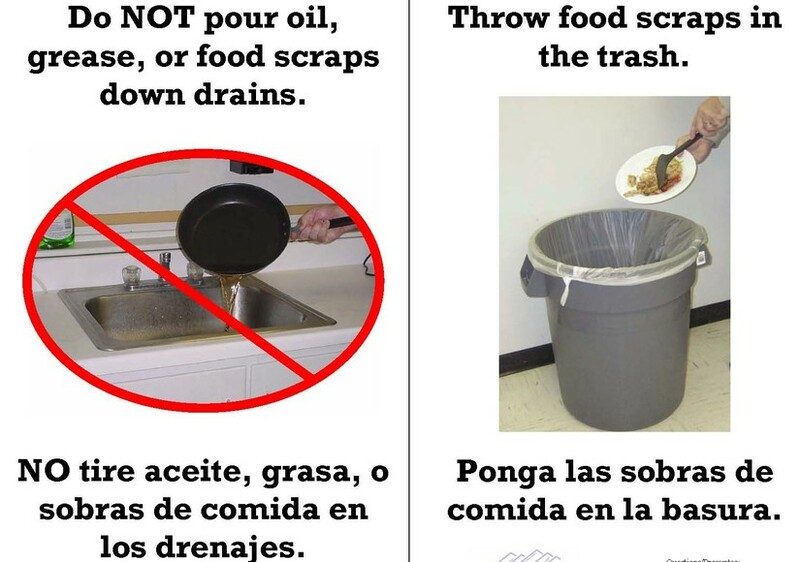 Please see Colorado Department of Public Health and Environment's handout on Grease Traps here. This handout contains information on grease traps and how you can help prevent grease build-ups within the district's sanitary sewer main. Please see the following link to the Colorado Special Districts' "Cover Your Flush" Campaign here. This website includes information on what not to put down the drain, what to do if a problem occurs, and on homeowners' insurance options.